Professional property photographers are regularly on the lookout for better gear — and that doesn’t just mean sharper lenses, more durable bodies, and more portable strobes. A professional property photographer is all about making their business run more smoothly and helping them turn their passion into a successful career — something that new technology can either help or hinder. 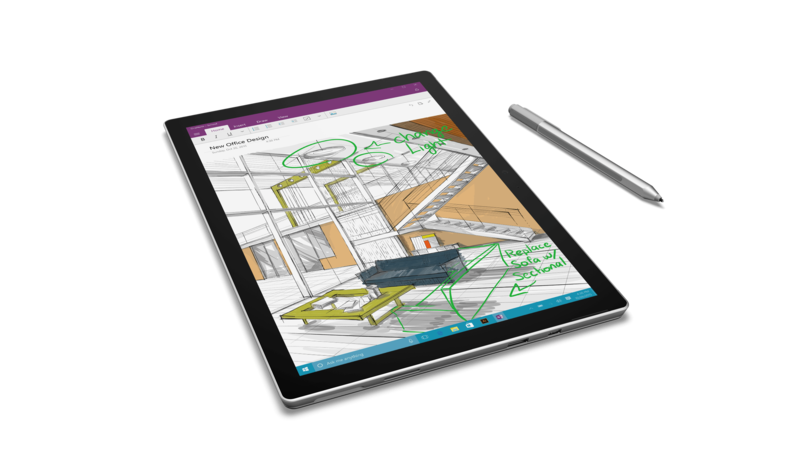 We’ve taken a close look at the huge benefits of the Microsoft Surface Pro 4 for property photographers, and see it as one of the best gear investments you can make for your business. Whether you’re just getting on your feet as a pro or are a veteran in this field, we know you’ll find amazing power in what the Surface Pro 4 can offer your photography business. The Surface Pro 4 is fully functioning with Windows 10, giving you all the power and abilities you’d use on your desktop at home. Check your email, edit photos, upload to iMAGECLOUD, schedule and reschedule work, and even update your website. For those who work full time as property photographers, the Surface Pro 4 will let you completely unhook from your at home work-stations and take your photography business anywhere you please. A photographer’s full kit weighs an average of around thirty pounds. Why add even more bulk with the addition of a laptop that could pack on as much as 10 more pounds for you to lug around? The Surface Pro 4 is a breathy 1.73 pounds, making it a breeze to add to your kit and bring along with you to any photoshoot or consultation. Whether you use Photoshop or Lightroom for your finishing touches, quick edits on the Surface is far easier than many other tablets we’ve used. It’s amazingly responsive, and simple actions like burn and dodge feel far more natural with a tablet and stylus than they ever did with a mouse. While it does take some getting used to doing full post-processing without a mouse and keyboard, we can promise that once you’ve found comfort on a tablet, you won’t struggle with it. We’ve all had clients who want to drill us about our gear — what brand we shoot Nikon or Cannon, how many wide angle lenses we have. Even those who don’t ask about your kit will still be impressed when you show up to a shoot or consultation and are prepared with a tablet, ready for business. This will not only aid in showing future clients your portfolio and visions for their shoot, but can also be useful when invoicing on the spot, giving clients a sneak preview after a shoot, and setting up a time for your next meeting. Contact us if you’d like to learn more about the best tech for professional property photographers, and new ways you can make your business stand out in the crowd with iMAGECLOUD.